Dot Monster: Puzzle & RPG was developed during Game Hive's second game jam. Developed by a team of 4 in a week's time, Dot Monster is an ambitious attempt at mixing a proven puzzle design with a simplified RPG for Android devices. Play the puzzle, defeat your enemies, take over the world! Your little monster is hungry, good thing there are a bunch of tasty enemies in your way. Play a compelling puzzle game to buff up your monster and show those enemies you’re the boss. Defeat and eat your enemies. When your monster eats, your monster grows! How big will it get? Nobody knows! ★ Compelling and addictive puzzle gameplay, can you be the puzzle master? 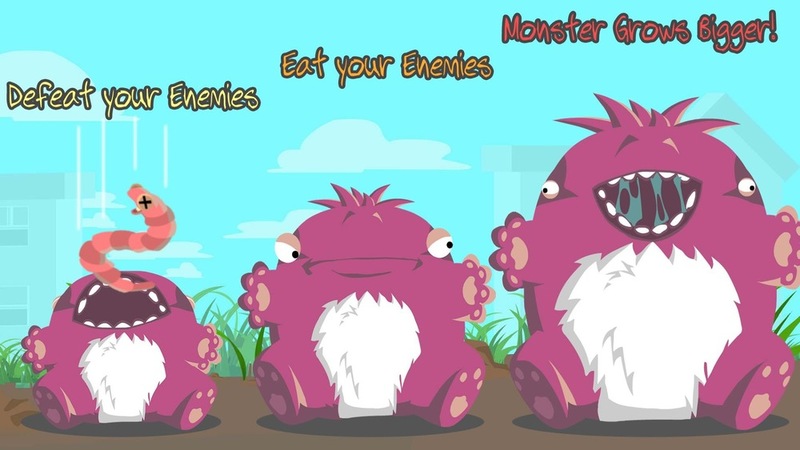 ★ Monster battle RPG, level up your monster and take on bigger enemies. ★ Innovative story mode, the more you play, the bigger your monster gets! ★ Competitive scoring, get a high score and share it with your friends.